I signed up for a Feedlounge account today – why? Partly out of curiousity and partly ‘cos I’d really like to have some way to have my feeds synchronised across machines and FeedLounge, being an online aggregator, allows for that (and is filled with AJAXy goodness!). The $5 per month charge almost seemed worth it to save on the hassle of reading the same feeds again and again on different computers. I exported my feeds from NetNewsWire (my desktop feed reader) into an OPML file and imported the feed into FeedLounge. However, what I didn’t count on was that FeedLounge would vastly speed up my feed reading (by making the majority of my feeds disappear!). In the image above you can see that the 471 unread items on my Blogroll have disappeared – not only that, but if I click on the 1713 Unread Items at the top, I see the same blank screen! I must see if i can get my money back – you shouldn’t have to pay for products still in beta. Alex and Scott of FeedLounge contacted me in the comments and resolved the disappearing feeds problem. Tom, have you tried Blog Lines? 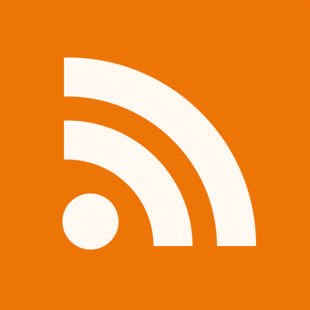 I used to use the inbuilt RSS reader in Firefox but portability was a huge problem so I tried a couple of web based RSS aggregators (Google’s news reader just didn’t hack it and News Gator won’t win any usabililty awards) until I settled with Blog Lines. Please let us help you with this in the forums. There was a similar report yesterday that was traced to a null character in one of the feeds. We’re adding special case handling for these and would like to fix this for you as well. Lar – I have tried Bloglines (and Google Reader and News Gator) but I haven’t liked any of them – hence my trying FeedLounge. Alex, could you not allow people to use the forums with the same login they use for the application? Having to have another account for the forums is a complete pain. If we did that, we’d have to limit forum users to only active FeedLounge users. Create a forums account on FeedLounge account creation automatically. This does not prevent others from creating accounts. Tom, your feeds are now fixed. We are now stripping the invalid characters one of your feeds was presenting to us. And the forums login issue? I’m afraid it would, or we’d have to restrict FeedLounge usernames to untaken forum usernames. There are ways around that too Alex – for instance, anyone registering for the forum – put a flag on their account when they register (if they don’t have a feedlounge account) and check for that flag as part of the login process. Ok, then what happens when someone registers for the FL service and wants a username that is already taken in the forums? What forum account should we create? I’m getting a little tired of this discussion. I am a paying customer of yours. I have made an observation about some unnecessarily awkward behaviour by your applications and I have suggested ways to make your application better. This is not rocket science. This problem has been solved many times before. Single sign-in is not unusual. what happens when someone registers for the FL service and wants a username that is already taken in the forums? The obvious answer there is not to allow someone to register a username in FL which has already been taken in the support forum. if ProposedUserName = FLUserName or SFUserName, PrintToScreen "Sorry that username is taken, try again"
If a customer complains about some aspect of your application, you do not argue with the complainant or try to make them feel stupid. On the contrary, you thank them profusely for complaining – you thank them for taking the time and effort to make you aware of a problem in your application – a problem which you may otherwise have been blissfully unaware of. Alex, a complaint, when handled properly, will win you more loyal customers than customers who have never had any issues. If customer human relations were easy for easy for tech people, there’d be a whole lot less lonely geeks in the world. It takes a long time and a lot of effort and even more mistakes to get Customer service REALLY right. One of the early lessons, the one Alex just had, is don’t try to explain the difficulties in getting something done. Most customers don’t care about the details of completing a task. They care about the end result and being respected. Everyone knows now that ANY feature can be added to software, it’s just a matter of how much thought and effort you want to put into it. And No customers like to be proven wrong after a long debate. So you take the idea into consideration, this means record it somewhere you WILL look at it again, tell the customer you’ve done so (thus you have taken immediate action upon the customer’s request) and, as Tom says, thank them for the idea. Ideally you’ll have a way of knowing that the customer asked about something and you can look up the status/result of that request, but that all also often comes later. As does the experience to handle all of these situations and the toughened skin to deal with the customers that don’t want to be consoled. Iâ€™m afraid it would, or weâ€™d have to restrict FeedLounge usernames to untaken forum usernames. Alex – there isn’t any difference between the two. I am aware that you said you didn’t want to restrict FeedLounge usernames to untaken forum usernames but just ‘cos you don’t want to do it doesn’t mean you shouldn’t do it if it fixes the problem in your apps. I didn’t say I didn’t want to engage in the discussion – I said I was getting tired of it. The issue I raised is far from rhetorical – you have a problem with your applications. Applications I am paying for. I am trying to help you fix that and instead of welcoming the feedback, you are getting snotty and defensive. Your ideas of customer service leave a lot to be desired. I find the fact that you complain about something so small as a forum username quite sad. Alex has to spend his time responding to your discussion, instead of working on features for the site. Anthony – thanks for your comment. I find the fact that you complain about something so small as a forum username quite sad. My initial complaint Anthony was about the fact that none of my feeds were displaying. However, I was further annoyed by the fact that I then had to register another username and password combo to log this issue in the forum. I’m sorry to hear that Anthony – I hope you’ll return sometime in the future. Why didn’t you just use the Synchronize feature in NetNewsWire? Well, truth be told David – I tried but I couldn’t get it to work! That’s too bad. It’s a nice feature.